Christian Eriksen's future at Tottenham is up in the air as he has yet to commit himself to a new contract, and that has Real Madrid salivating according to the Independent. Real are looking for a long-term replacement for Ballon d'Or winner Luka Modric and Eriksen fits the bill perfectly, with the Spanish club reportedly making "initial steps" to set up a deal. The problem will be the fee as Tottenham have no desire to sell for less than £250m, though the fact that the Denmark international's contract ends in 2020 means the clock is ticking and his transfer value is falling every day. Real are looking for a deal in the £100m region with the paper offering them hope by claiming "it is one of his ambitions to play for one of Spain's major clubs in his prime." The future of Isco could yet play a part as he looks likely to depart the Bernabeu and could be used as a makeweight in any deal. 23.15 GMT: That's going to bring Tuesday's live edition of Transfer Talk to a close. 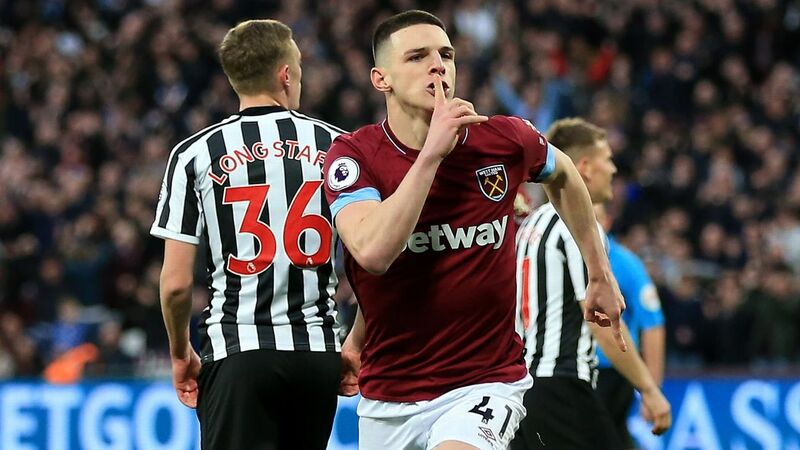 Thanks very much for joining us, and be sure to check back in a few short hours when we return with the latest headlines pulled from Wednesday's back pages. 22.20 GMT: Manchester United have been credited with an interest in Fiorentina centre-back Nikola Milenkovic. How do they plan to get him? Calciomercato writes that the Red Devils are ready to send Andreas Pereira to Florence to improve relations between the two clubs, which would then open the door for the Viola to sell Jordan Veretout to Napoli. Confused yet? 21.25 GMT: Real Betis are interested in rivaling Ajax for the signature of 18-year-old Club America attacker and Mexico international Diego Lainez, Marca reports. 20.30 GMT: After coming oh-so close to landing Luka Modric last summer, Inter have not given up hope of signing the Real Madrid, according to Corriere dello Sport. Not only that, the Nerazzurri have also reportedly added Modric's Madrid midfield partner Toni Kroos to their wanted list. 19.35 GMT: With Alvaro Morata misfiring and Olivier Giroud injured, Chelsea are in need of a new No. 9, and the Mirror reports that amid the list of front men the West London club has been linked with, Inter's Mauro Icardi is the No. 1 choice of Roman Abramovich -- and the owner isn't afraid to trigger the Argentine's £100m release clause. 18.40 GMT: Winger Ibai Gomez is set to return to his old club Athletic Bilbao from Alaves for around €4 million, according to reports. He had also been linked with Championship promotion contenders Leeds. 18.30 GMT: Coach Thomas Tuchel is quite contented that Neymar is quite happy at Paris Saint-Germain, telling reporters: "I think that Neymar feels very, very happy. He is professional, very decisive, with a good state of mind." 17.50 GMT: Barcelona may be reluctant to let Denis Suarez leave, but the Mirror says the midfielder wants to join Arsenal this month "and is hoping the clubs can make it happen." 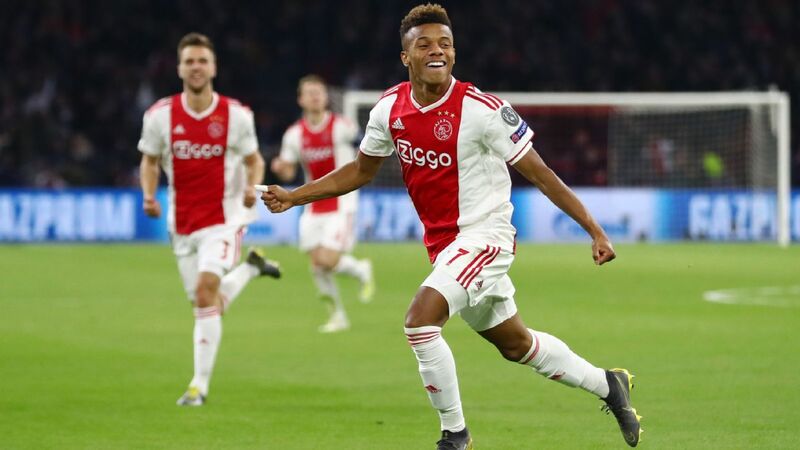 The Gunners want to sign him on loan with a £15 million to follow -- but the Mirror adds that there is "some way to go before a deal looks remotely likely." 17.30 GMT -- DONE DEAL: Another one for the loans list: Bradford City have signed Leeds defender Paudie O'Connor for the remainder of the season. 17.05 GMT: River Plate midfielder Exequiel Palacios, linked with Real Madrid, has told ESPN that "my head right now is with River," adding: "It's difficult not to get carried away with everything that is said on social media, about Real Madrid and that I may leave. I try to keep calm. I think I'm on the right track. "My friends at River tell me to stay here, and my family respect my decision. They are always with me. You start to think about it and hear talk about the huge club that is Real Madrid and that there is a chance I could go there." 16.50 GMT -- DONE DEAL: And another loan deal for you - Crystal Palace have loaned striker Alexander Sorloth to Belgian side Gent for the rest of the campaign. 16.40 GMT -- DONE DEAL: Wolves have loaned winger Bright Enobakhare, a product of their academy, to League One Coventry for the remainder of the season. 16.30 GMT: New Zealand goalkeeper Stefan Marinovic, who left MLS side Vancouver Whitecaps last month, is on trial with Championship club Hull City. 16.05 GMT: Potentially bad news for Watford, according to the Mirror, which says Hornets midfielder Abdoulaye Doucoure "is dreaming of a move to Paris Saint-Germain." 15.50 GMT: An arrival at Carabao Cup semifinalists Burton Albion, who have brought in defender Kieran Wallace, a free agent, on non-contract terms until the end of the season. 15.40 GMT: Wigan have had a bid for Reading defender Tyler Blackett turned down, and it's not the first time that has happened, according to the Mail. Reading said no to a £450,000 offer for ex-Manchester United player Blackett, having already rejected two other Wigan bids. 15.12 GMT: Stefano Okaka has left Watford and returned to Udinese on loan. Udinese and Watford are both owned by the Pozzo family, so presumably any deal to make the move permanent would be pretty easy to figure out. 14.50 GMT: Pep Guardiola has defended Manchester City's youth record after academy product Brahim Diaz left for Real Madrid in a £21m deal. 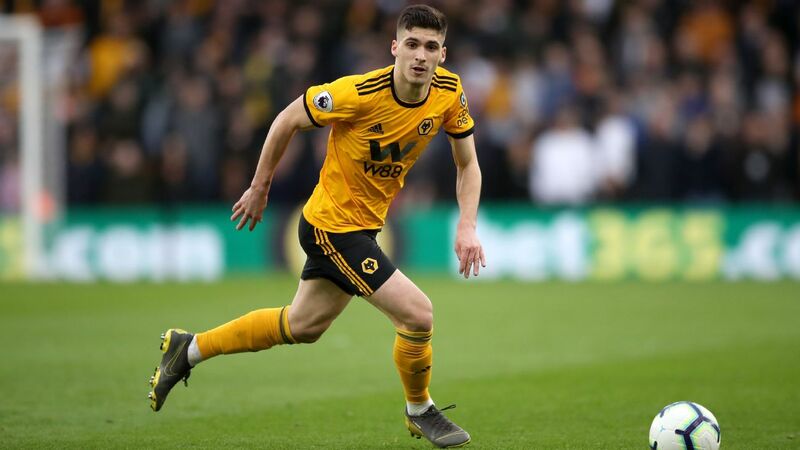 "They win the opportunity [to play] on the field but you have to take a look at all the big clubs in Europe how many young players are in the first team," he told a news conference. "The young players need time. David Silva, for example, was loaned to other before he became what he is right now, before he came us. Some have patience, some trust what the club want to do, and some don't." 14.24 GMT: One day after Mexico named its new coach, Eintracht Frankfurt's Marco Fabian told ESPN that he would consider returning to Liga MX and that he doesn't see it as a career failure to leave European football and return to Chivas. "I have no doubt that we (Liga MX) are not at the level of European football, but if I returned it would not be a step back," he said. "One has to watch out for oneself, for one's career and where one can increase the rhythm of one's football career and prepare best." 14.02 GMT: Sky Sport Italia are reporting that Napoli are still favourites to land Nicolo Barella, despite the interest from Chelsea which was reported earlier. 13.40 GMT: Thomas Tuchel sounds a bit frustrated with transfer progress at PSG given Lassana Diarra is on his way out and Adrien Rabiot has been banned from the first-team until he departs on a free transfer in the summer. Tuchel told a news conference: "We looked for a No. 6 this summer and we did not find one. You know the situation. Nothing is finalised between Lassana Diarra and PSG. Obviously being without Adrien Rabiot and Lassana makes me a bit uncomfortable." He did have slightly more positive news to report on Neymar though: "I feel that he is very happy. He feels good in this dressing room. He trains well and is a key player when he is hungry and in shape." 13.35 GMT: We told you it was going to happen and it has! Barcelona have signed Toulouse's highly rated centre-back Jean-Clair Todibo. 13.12 GMT: Juventus want Barcelona defender Jordi Alba and are ready to wait until 2020 to sign him as a free agent. According to ESPN's Jordi Blanco, Juve have already contacted Alba's agent. Though what this means for the club's pursuit of Cristiano Ronaldo friend and fellow left-back Marcelo remains to be seen. 12.54 GMT: Gabriel Barbosa is a wanted man (unless you're his current club Inter Milan) with Flamengo and West Ham chasing the forward, who has been on loan at Santos, say Globo Esporte. The FC Porto fans and Portuguese football in general are in for a treat. And so is goalkeeper Iker Casillas as the 35-year-old defender reunites with his former Real Madrid teammate. 12.21 GMT: Tottenham are set to lose Mousa Dembele, so they need a new midfielder and Torino's Soualiho Meite is on the radar, according to Gazzetta dello Sport. Torino will need some persuading given they only signed the 24-year-old from Monaco in the summer, but Spurs remain hopeful. Sky Sports are reporting that Bayern Munich have tabled a fourth bid for Callum Hudson-Odoi, matching the club's £35m asking price. Given coach Maurizio Sarri was vocal about what a good player he is, it will be really interesting to see if that bid is accepted. If Bayern Munich sign 18-year-old England youth international Callum Hudson-Odoi from Chelsea for €39m, he will become the third-most expensive signing in the club's history behind Corentin Tolisso (€41.5m) and Javi Martinez (€40m). Oh, and on-loan striker Tammy Abraham has turned down a loan move to Wolves in favour of remaining with Aston Villa, say the Guardian. 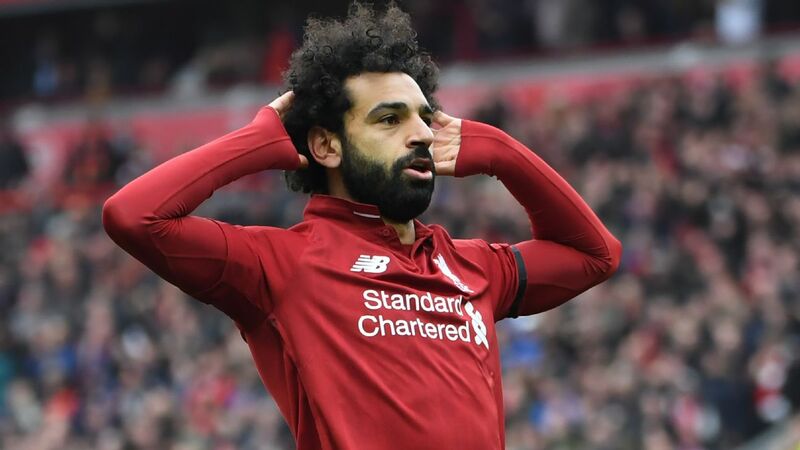 Though they reckon he would be keen on a permanent move to a club already in the Premier League. 11.51 GMT: Marko Pjaca impressed at Euro 2016 for Croatia but hasn't done enough to persuade Juventus of his value since his move from Dinamo Zagreb. Currently on loan at Fiorentina, La Nazione report that Juventus are worried the club won't take up their €20m buying option and therefore want to loan him elsewhere: namely, Fulham. 11.25 GMT: Manchester United are prepared to wait until the summer to sign Kalidou Koulibaly with hope diminishing that the defender will be allowed to leave Napoli in January, sources have told ESPN FC. United had hoped Napoli's exit from the Champions League would increase their chances of landing the 27-year-old this month. However, the Serie A side have so far refused to negotiate and United now believe a deal in the summer is more likely. 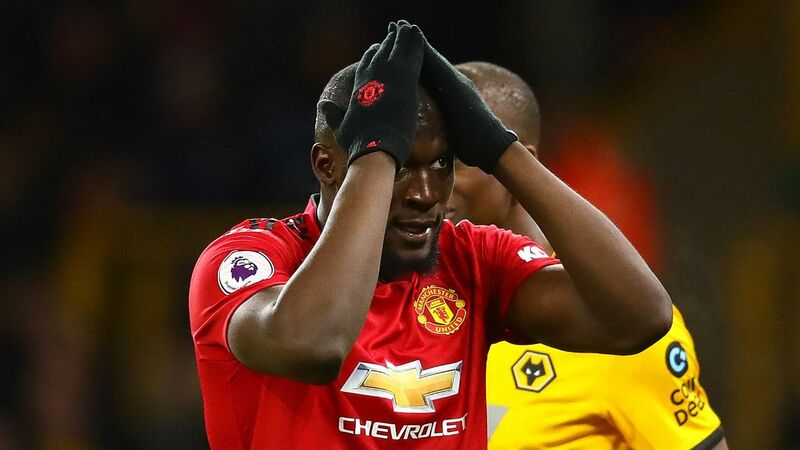 Sources said that Koulibaly, who signed a new contract in September that could keep him at Napoli until 2023, is open to a move to Old Trafford. 10.55 GMT: Neymar wants a return to Barcelona, but Barcelona may also now want the return of Neymar. Mundo Deportivo claim that Andre Cury, who advises Barcelona on transfers, met with the Brazilian and his agent Pini Zahavi to discuss a move recently. 10.35 GMT: Chelsea are reportedly holding off on selling Cesc Fabregas to Monaco until they get a replacement... but they might have two coming very soon. Sky Sports report that a deal is close for both Cagliari's Nicolo Barella and Zenit St Petersburg midfielder Leandro Paredes. 10.31 GMT: Paul Pogba's older brother, Florentin, has joined Spanish second division side Elche on trial for a week, the club has announced. He is a free agent having left Turkish Super Lig side Genclerbirligi in May. 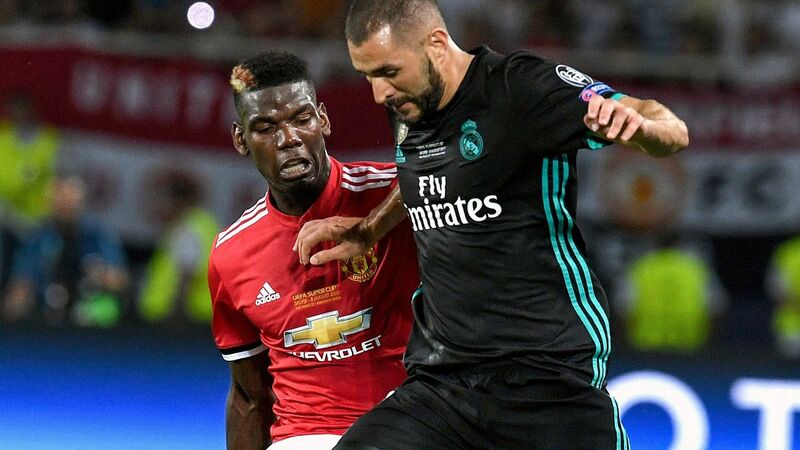 Meanwhile another Pogba brother, Mathias, who plays for French Ligue 2 side Tours, has opened up on Paul's relationship with Jose Mourinho at Man United. He told RMC: "The problem was Mourinho, right down the line. In the dressing room, outside the dressing room -- everything. From what we see of Mourinho, he always wants to be the maestro, the centre of attention. Paul does not even think about that aspect. You respect him, he will respect you. You trust him, he will perform for you in the big matches." 10.18 GMT: Marseille are still hoping to bring in Mario Balotelli from Nice, L'Equipe claims. The former Manchester City and Liverpool forward has -- according to the paper -- made an agreement to cancel his contract with Nice, but has yet to choose his future destination. 10.03 GMT: RB Leipzig are reportedly interested in bringing Hakan Calhanoglu back to the Bundesliga, according to Bild. Though AC Milan coach Gennaro Gattuso does not want the player to leave, his hands may be tied by FFP restrictions, especially if he wants to strengthen his side this winter, with Yannick Carrasco of Dalian Yifang emerging as a target. 09.42 GMT: Athletic Bilbao's sporting director says he is interested in ... well ... everyone. Naming four players: Manchester United's Ander Herrera, Tottenham forward Fernando Llorente, Alaves' Ibai Gomez and Bayern Munich's Javi Martínez, Rafa Alkorta told Cadena Ser that the club are tracking all of them. Athletic have a transfer policy that allows them to sign Basque players only, which makes things rather difficult. But those four are among the best Basques out there, so it makes sense. "It's obvious that any player that can play for Athletic is of interest to us," Alkorta said. "Nothing is easy but we are interested in having all of the ones that can come. We have not made any moves yet. We will start on Tuesday and we will see what can be done." 09.28 GMT: Benfica president Luis Filipe Viera says "money is not an issue" amid reports that Jose Mourinho is among the candidates for the club's full-time coaching position. The Portuguese outfit expects to announce its new manager next week after coach Rui Vitoria left by mutual consent last week after three-and-a-half years in charge. Mourinho, who began his coaching career at Benfica and was sacked by Manchester United last month, has been linked with the position, while former coach Jorge Jesus and Shakhtar Donetsk's Paulo Fonseca are also considered contenders for the job. Asked about Mourinho during an interview with Portuguese TV network SIC, Vieira said: "Money is not a problem for Benfica right now. There's always a solution to that. Who wouldn't want to have Mourinho? I can't say what is going to happen in the future but who wouldn't want to be at Benfica?" 09.17 GMT: Sampdoria have offered a loan deal with an option to buy for £10.75m for Southampton striker Manolo Gabbiadini, according to Sky Italia. 09.08 GMT: Chelsea's striker situation could be about to get interesting as AS report that Alvaro Morata's agent Juanma Lopez met Sevilla's sporting director on Monday to discuss a potential January loan move. That would open the door for the Blues to make a move for a new forward: possibly Gonzalo Higuain of Milan (via Juventus). 08.56 GMT: Inter are again being linked with a move for Udinese's Rodrigo De Paul, while there is now agreement in the Spanish and Italian media that Diego Godin will sign for Inter on Feb. 1, when he is free to confirm his destination when his contract expires in the summer. 08.46 GMT: Boca Juniors president Daniel Angelici has warned he will only sell reported Everton target Wilmar Barrios if his €23m release clause is met. Reports in Argentina claimed Everton have rekindled their interest in the 25-year-old defensive midfielder. However, Angelici told Argentinian radio station Radio La Red: "No offer has arrived. He has a €23m release clause, which is more than $30m. He is a starter and he is non-transferable, unless a club comes and puts down $30.5m." Barrios, who is tied to Boca until June 2021, was linked with Everton and Tottenham last summer. 08.25 GMT: New Athletic Bilbao sporting director Rafa Alkorta has confirmed his club is interested in signing former club players Ander Herrera of Manchester United and Tottenham forward Fernando Llorente. Alkorta, who took on the position at the start of the year, says his club must bring experienced reinforcements to help the team turn its season around. Athletic have won just three league games this season and are 17th in the standings, two points clear of the drop zone. "We are interested in Javi Martinez, Ander Herrera, Llorente...all of them interest us," Alkorta told Cadena Ser. "It's obvious that any player that can play for Athletic is of interest to us. Nothing is easy but we are interested in having all of the ones that can come. "We have not made any moves yet. We will start on Tuesday and we will see what can be done." Arsenal are set to beat AC Milan to the signing of Belgium attacker Yannick Carrasco, according to Gazzetta. Carrasco is plying his trade in China with Dalian Yifang, but he's ready to make the move back to Europe and it's Arsenal who've apparently made the first move, making contact with the 25-year-old. The player, who operates predominantly as a left winger, is said to have given his "approval" to the move, although it's early days. Carrasco first came to international attention when, as a 21-year-old, he was one of the goal scorers for Monaco when the French side stunned Arsenal with a 3-1 win at the Emirates in the 2014-15 Champions League. That helped earn him a move to Atletico Madrid, where he spent three seasons before making the surprise move to China. And now he could be set to move to England. Tottenham fans have been thinking about the inevitable eventual departure of Mousa Dembele for some time and now, according to the Daily Mail, that time might have come. 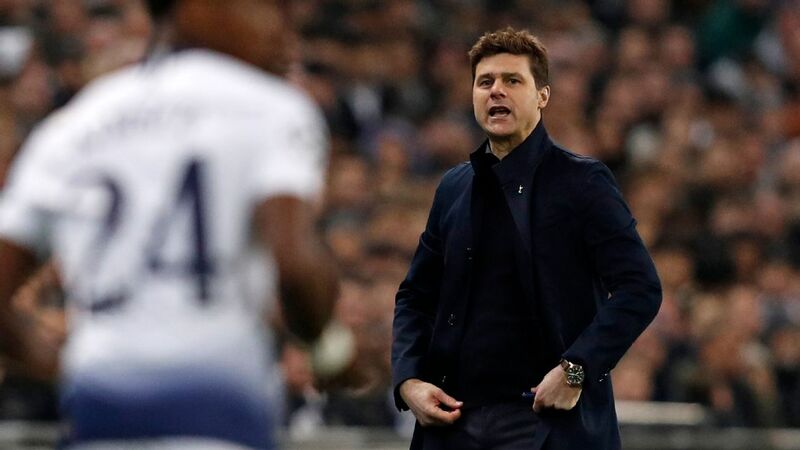 The club have reportedly received an offer of £11 million for the 31-year-old from Beijing Guoan and Mauricio Pochettino is fine with selling him this window. It all looked so simple. Cesc Fabregas waved to fans as he came off during the FA Cup tie against Nottingham Forest, personal terms agreed with Monaco, but it's not so simple, say the London Evening Standard. Because Monaco are still to agree a transfer fee with Chelsea. Despite the fact Fabregas' contract expires at the end of the season, the London club want £10m for him, but the Ligue 1 side aren't convinced. An agreement is expected, it just hasn't been reached quite yet. AC Milan have knocked on Genoa's door to enquire about their highly-rated striker Krzysztof Piatek, report Gazzetta dello Sport. Piatek has been on the wish lists of top clubs around Europe, having scored 13 league goals so far this season at just 23 years of age. However, Genoa are holding out for €60 million for the Pole, which would be a hefty profit on the €4m they spent on him in June. Manchester United players want Ole Gunnar Solskjaer to stay on as the permanent manager, according to The Mirror. 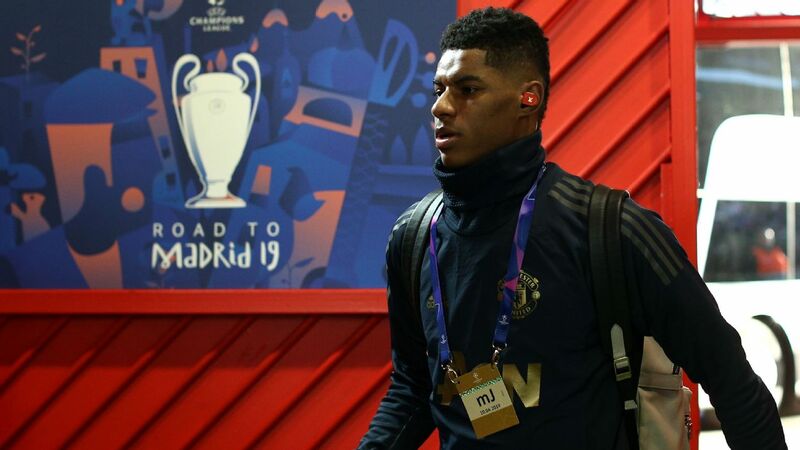 The players, particularly the forwards (unsurprisingly) are enjoying the Norwegian's man-management style, in contrast to what they experienced under Jose Mourinho. Solskjaer is due to coach United until the end of the season before returning back to his home country and his job managing Molde. Real Madrid have, in that time-honoured transfer window phrase, "made contact" with Tottenham Hotspur about signing Eriksen, according to the Independent. 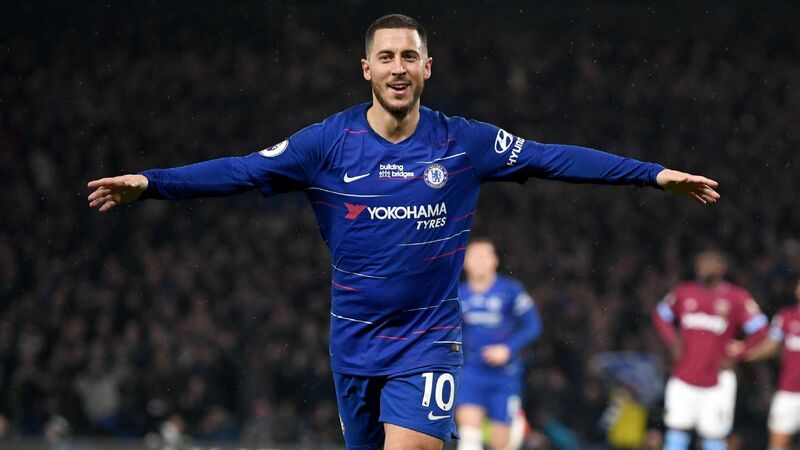 The La Liga side, currently fifth-place, may have to part with £100m to get the Dane, but see him as more gettable than Chelsea's Eden Hazard. 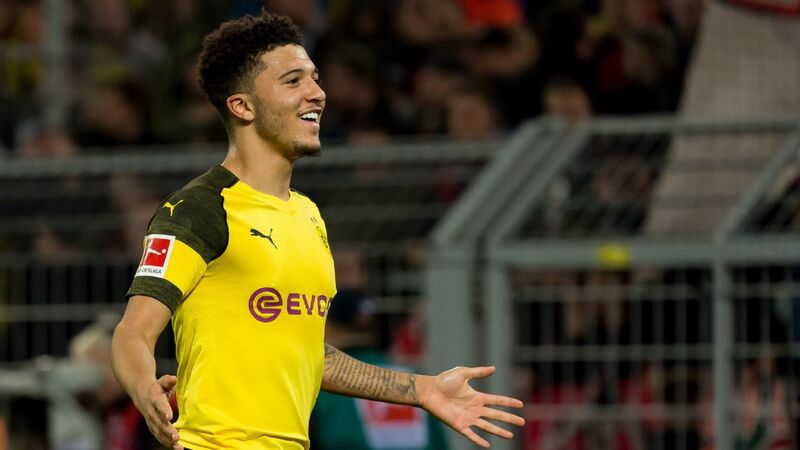 Dortmund have joined the fight to sign RB Leipzig's talented 22-year-old, according to SportBild in Germany. Bayern Munich and Liverpool are both said to be interested, but the Bundesliga leaders could now make a push. Fee estimates have ranged from £35-50m, should Werner move this window. The Premier League holders are one of several teams interested in Dybala, according to Tuttosport. Bayern Munich and Paris Saint-Germain are also tracking him, according to the Italian paper, and Juventus may consider selling him ... but only if they get £90m for the Argentine. With Fabregas set to leave, Chelsea are looking for a replacement, and Paredes is one of the names on their list according to Corriere dello Sport. Chelsea are also targeting Cagliari's Nicolo Barella, but Paredes is thought to be the more likely choice. With former manager Walter Mazzarri in the dug-out in Turin, it seems increasingly likely that the Watford winger will be moving to Italy, Tuttosport report. Torino are willing to bring the player in and the 28-year-old Argentine would like to work for his old boss.